Back in October OvR got the opportunity to celebrate 20 years in the snowboard industry with Vans Snow. If you did not get the chance to be a part of Vans Snow’s 20th Anniversary Party check out our event coverage. One of the many highlights of the event was the premiere of ‘20 Years: Off the Wall, On the Snow,‘ a film showcasing 20 years of Vans Snow legacy. “20 Years takes a look back at an influential era in snowboarding, paying homage to a pivotal period in defining a new generation of snowboarding culture as told by original Vans riders Jamie Lynn, Shaun Palmer, Circe Wallace and Kurt Wastell. Reminiscing on years of style, innovation and true originality, Hatchett’s passionate narrative tells the history of Vans on the mountain, encapsulating the humble beginnings of the snowboarding industry along with the people who continued to progress the sport into the culture it is today. 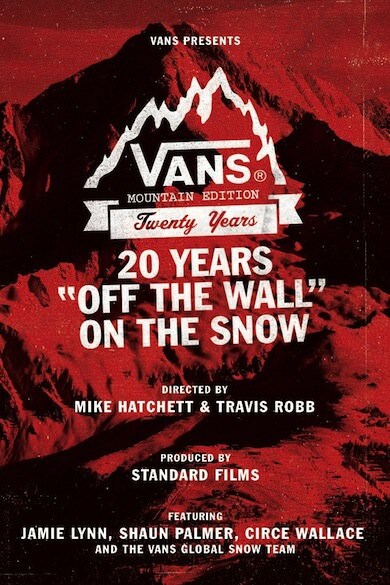 Vans Snow just announced it will be premiering ‘20 Years: Off the Wall, On the Snow” exclusively on OffTheWall.TV this Friday, Dec. 6th. Watch the trailer below to get a better understanding of the awesomeness that is this film. 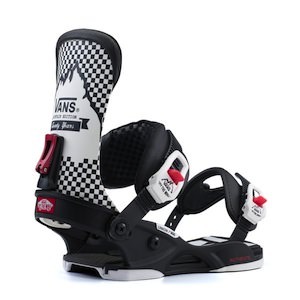 Also be sure to check out the limited edition Vans x Union bindings at your local Union Binding retailers. For more information on these killer bindings head over to Union Binding as well as watch this video featuring Jamie Lynn. This entry was posted in Film, Video, and Media and tagged 20 Years: Off the Wall, Circe Wallace, Darrell Mathes, Jamie Lynn, John Cardiel, Kurt Wastell, Nathan Fletcher, OffTheWall.TV, On the Snow, Pat Moore, Shaun Palmer, Union Binding, Vans Snow, Zac Marben. Bookmark the permalink.